Although sad being away from family and friends for Christmas, Sam and William make new friends and make the best of Christmas away from home. I'm glad you got to play some Half-Life 2 for Christmas, nothing like fragging zombies and using the gtavity gun while listening to Christmas tunes. Merry Christmas boys! You're enjoying much better weather than myself up here. -37 celcius with the windchill. Have a safe New Years! Looking forward to the next minisode! awesome!!! 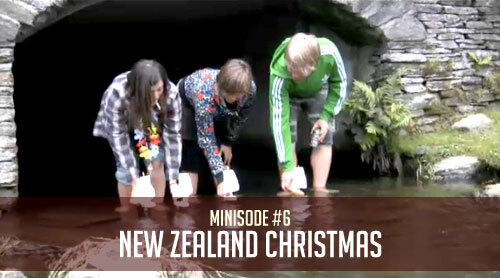 hehe, will always remember christmas in new zealand! thanks guys!